The Cloud has changed the way we go through our day. From the moment we wake up, we're updating our statuses on social networks and checking work e-mails before the coffee hits the cup. An online community manager can access the administrator functions from his iPad. A marketing manager can check Google Analytics from her Android smartphone. The cloud computing market has enveloped our modern society and streamlined our days. What was once thought of as a fad -- websites and applications that didn't depend on software -- is now becoming part of standard operating procedures. 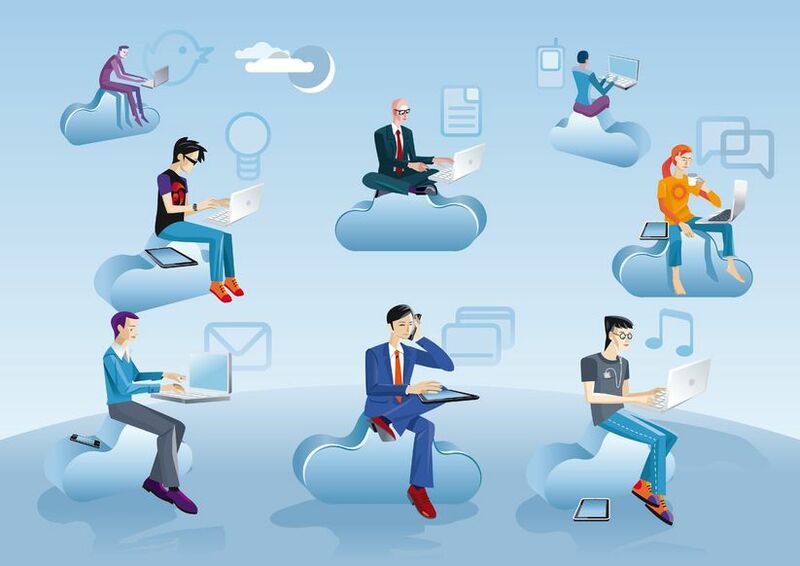 The evolution of cloud computing has been rapid and far-reaching. Last year saw monumental leaps for the technology industry, with innovation and cost efficiency as the pervading themes. Now, with the varieties of cloud technologies increasing virtually by the day, here is one cloud-related trend we should focus on as a growth area: Applications, or "apps." Taming big data has been a daunting task for IT departments and analysts around the world. Looking at large amounts of data and identifying the most important pieces led to many sleepless nights for CIOs and IT Directors. Well, IT leaders might rest easier this year; we will start to see cloud apps geared towards synthesizing big data and presenting it in a comprehendible format. The cloud presents the advantage of faster processing speeds, scalable memory, powerful benchmarking capability, and the innovative technology necessary to give organizations the tools needed to capture key data and make the business decisions that make the difference between making money and losing money. A good example is this NY Times story describing how the mega-retailer Target uses data on purchasing behavior to determine the pregnancy stages of some of its women customers who are expecting. They used this data to serve up coupons relevant to the products that would be used in specific trimesters. Mobile device usage increases. A survey conducted by the Pew Internet & American Life Project, reported that 45% of American adults owned a smartphone in 2012. Moreover, they own a smartphone for purposes other than just making phone calls. Developers will be focusing more on the "Mobile First" approach because that is where users are spending their time. Expectations have dictated the need for minimal downtime for maintenance and for the ability to make quick, unobtrusive updates. For instance, when I check my bank account balance on my phone or tablet, I expect it to take only a matter of seconds. By leveraging the capabilities of the cloud, developers will optimize their apps to work seamlessly across mobile platforms. BYOD, or bring-your-own-device, has grown in popularity for companies. Instead of compiling mounds of notes on paper, some choose to use Evernote to jot down thoughts and notes from meetings. They are easier to manage and accessible on multiple platforms. Consumer technology is getting stronger by the minute and, for younger users, especially, the desire to preserve their freedom -- as in, not being 'tied' to a desk -- is becoming an important factor. From a company perspective, BYOD reduces hardware costs and the time it takes to train employees. As is the case with BYOD, demand for business-oriented applications will increase in 2013. The axis of emphasis for companies will shift more from hardware to software. Business processes are becoming more digitized and the need for data that is both portable and always accessible is paramount. Central to every business is the ability to analyze performance and make adjustments based on that data. We reporting fanatics are salivating at the prospect of embedded analytics. The cloud makes it possible to receive up-to-the-minute analytics and allows you to be more agile and on top of your metrics. This trend is already off to a big start. Data solution giant, Kognitio recently announced full support for Amazon Web Services' High-Memory Cluster. Advanced analytical capability and significant cost savings underline this announcement. There will be further movement towards this initiative and analysts everywhere will be on cloud nine when these dashboards surface. We all like the idea of having a customized application interface with the company logo and colors included. The "Have It Your Way" approach is preferable in theory, but difficult in practice. Creating a custom code for the app and maintaining it through updates can be costly and time consuming. Instead, technical experts will manage your configuration options via software wizard. Through a sequence of steps, the tech personnel will set up your application through more of a mass customization process. This approach is more "off the rack" and less "tailored," but it will be much more flexible in terms of enabling updates and changes. The cloud means that barriers to entry for app developers have been lowered. Developer tools are more affordable. That is a recipe for a vast developer marketplace. The consumer will have a wealth of options to choose from and the responsibility will be placed on IT to accommodate the apps that the end users adopt. Cloud computing is booming and it will continue to grow rapidly. So adequate measures will need to be taken to strengthen networking infrastructure. It will take resources to reinforce datacenters. Job creation and improved technology will result from this trend. Highly sensitive employee data (Social Security Numbers, Addresses, Compensation, etc.,) is stored on cloud-based software. There are legal ramifications if such data is compromised. Complete understanding and application of encryption methods and security procedures is critical for every IT department. With evolution comes adaptation. Tech departments are constantly improving their monitoring procedures. They can now see activity at various points, an ability that allows them to address vulnerability before it is exposed. Their ability to run diagnostics and patch up holes before water seeps in will be critical. The year 2013 is shaping up to be one in which technological innovations are setting new norms in our personal and professional lives. Cloud computing is one of the most prominent innovations in technology within the past two decades, and it is here to stay. It is up to us to capitalize on its potential. To learn more market research on cloud computing, click below to view Sizzlin' Stats For Cloud Computing.